For years famed session guitarist and founding member of Toto, Steve Lukather relied on EMG guitar pickups in the studio and on the stage. The EMG SL20 Pro Series system features two of Steve's custom designed SLV single coil pickups and the EMG 85 humbucker with a master volume and tone. The SLV pickups are similar to the SAV pickups, but with increased coil windings for a meatier tone and pole pieces, not a bar, hidden under the solid cap for a more uniform look. When paired with the warm response of the EMG 85 humbucker, the result is a noiseless pickguard set that gives players all the diversity and response Steve Lukather demands. 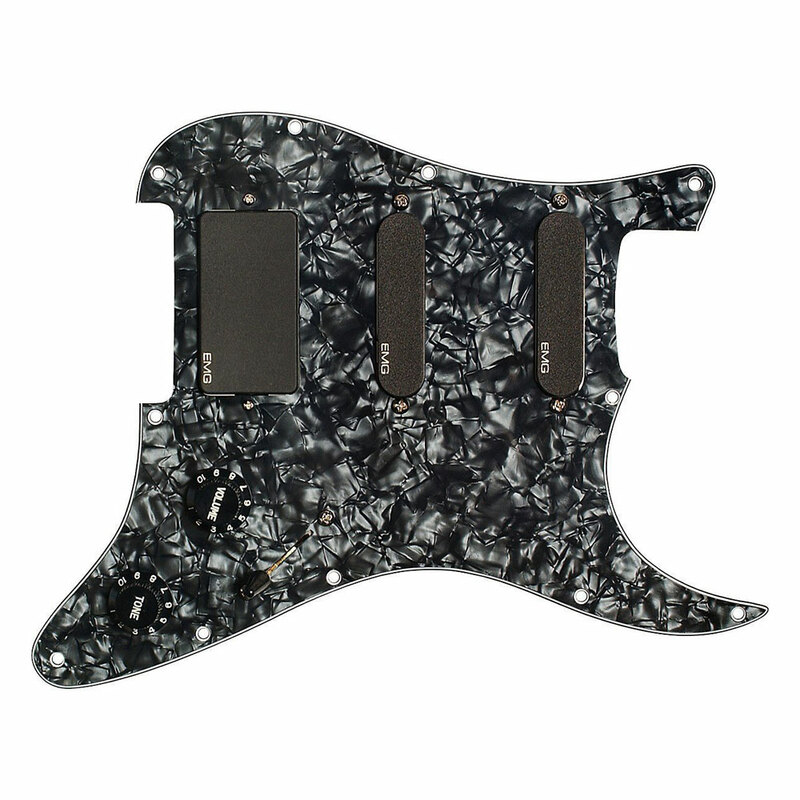 For ease of installation the set comes prewired on an 11 hole black pearloid Stratocaster style pickguard with a master volume and master tone controls and 3 way selector switch (complete with black strat style knobs and switch tip).